Danny MacAskill pushed trial into a new dimension last year with his antics on his 24” bike. Danny’s focus was on street riding, and this is where the 24” phenomenon has really taken off. 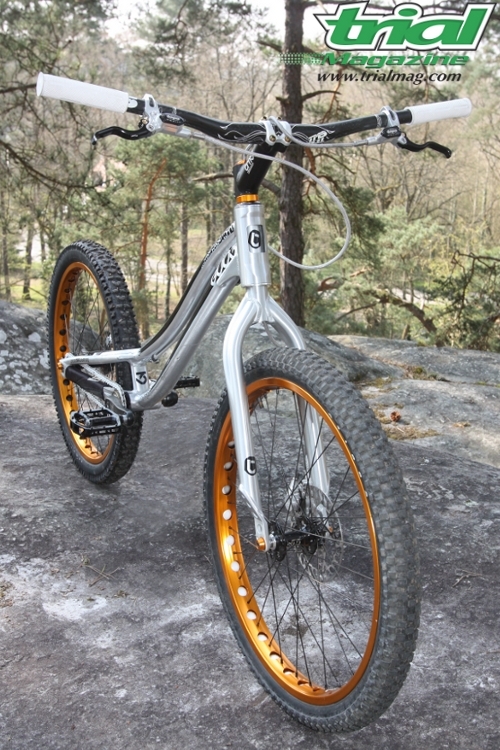 Then Juanda De La Peña decided to tailor the 24” for natural riding y designing a comp-specific 24”: the Kabra F-24. 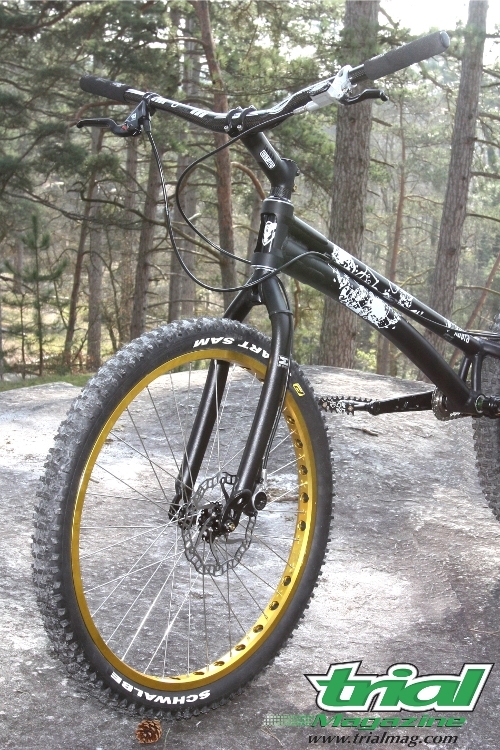 This project generated quite a lot of interest on the trials web, with 26” and 20” riders alike pricking their ears up at the sound of a new bike hitting the market: everyone was speculating on a bike that could, in theory, combine all the advantages of big and small wheels. What benefits would a 24” have in competition? Is it just a fad? Who is it aimed at? To answer these questions that many of us have been asking, Trial Mag took the bull by the horns and decided to test all of the ‘trialsy’ 24” currently available on the market. Their aim was to find out exactly how each bike rode and to come to some general conclusions about this new phenomenon. Everything that you’ve ever wanted to know about 24" but never dared to ask will be answered in the next issue of Trial Mag France, out soon! Below are images of the four bikes tested, and, for the first time, a short video, filmed during the test, of our tester Thomas Francisco putting the bikes through their paces at Buthiers. It starts with the Buthiers Bunnyhop Challenge™: this giant, overhanging rock with an uphill run-up featured in the 2010 Buthiers Trophy and we thought it would be an ideal test for these 24”s! Then Tom takes the Kabra for a spin on some technical rocks before joining the rest of the team at their laptops... The music is by Burning Heads, a band from Orléans (album: Opposite 2 – track: Chinese Banjo). 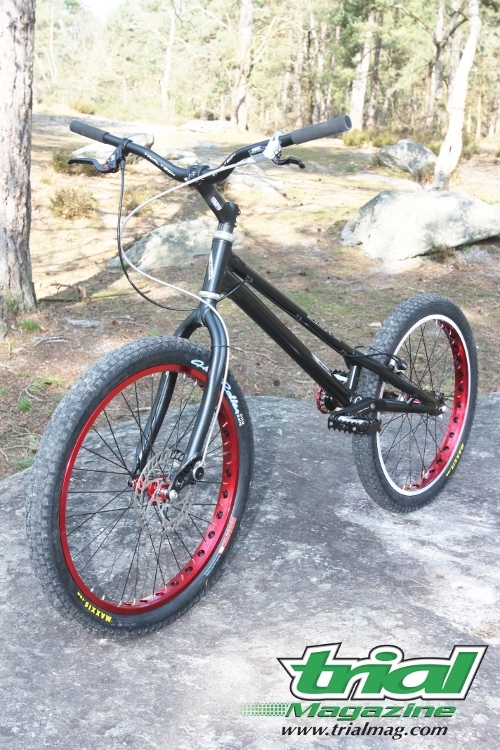 The Because Trial, designed exclusively for natural riding, became available from Sphère Bike in February! 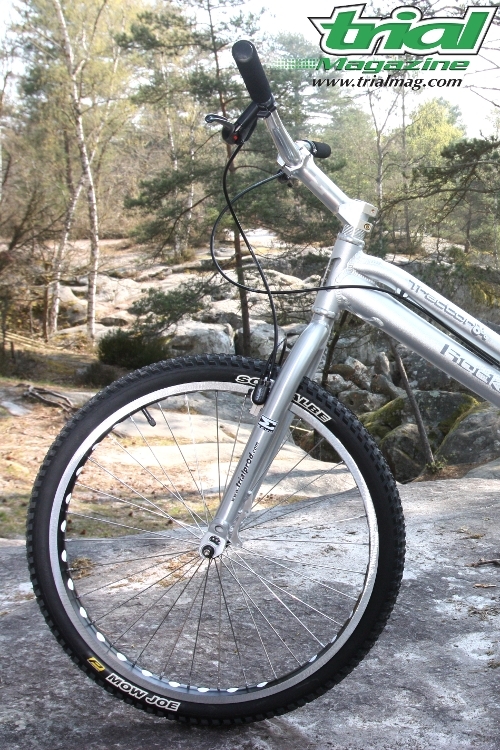 The famous Kabra F-24, distributed by Spanish shop Tobuytrial.com, is the bike that kicked of the natural 24” movement. The newest natural specific 24” on the block, the Rockman Traktor, tested for you even before its arrival on the European market! 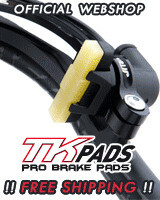 Distributed in France by Trialprod. Is it really worth buying a 24” for natural riding? Is it just a fad? How do they ride? Who are they aimed at? Trial Mag will answer all of these questions and more in the next issue, available in France in the next few days! 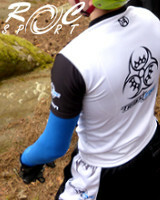 After 18 months of inactivity, YMSA biketrials are back with a series of competitions in 2010 ! The first takes place this weekend at Bracken Rocks in Derbyshire.